This is the lead form override for "4 Germano Way Andover". This very pretty home is located within a double cul de sac neighborhood, just 3 miles outside of downtown! It's been filled with laughter and lots of happy memories for many years. Now it's time for you to fall head over heels in love and start the next phase of your life here. 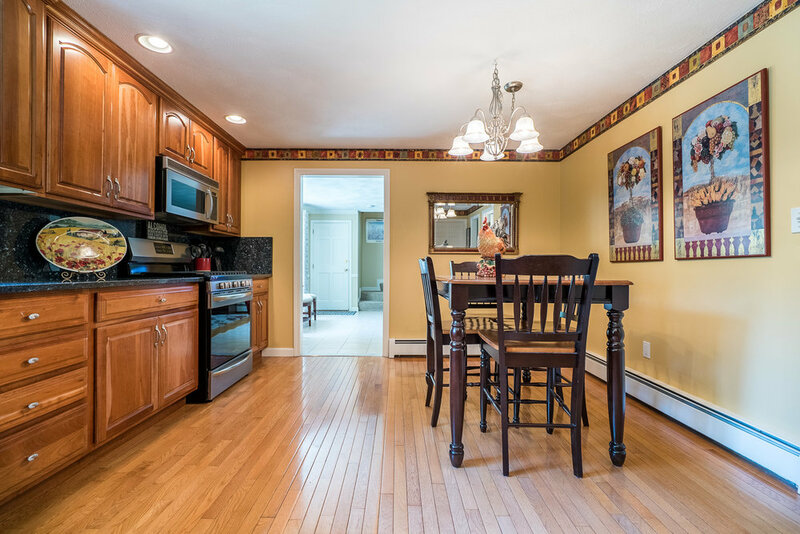 This South Andover neighborhood is the closest exit to Boston on 93 & located near Starbucks! Wholefoods! 2 Targets! as well as many 5 star restaurants, awesome coffee shops, gyms, yoga studios and outdoor amenities. Built in 1985, 4300+ square feet, 3 car garage, 11 rooms, 4 bedrooms, 3 baths & .69 acres of land on town water & town sewer with gas heat and central air conditioning. Call Lisa at 978 457 3406 to schedule a tour. Inside you'll find all the space you need. You'll enjoy the formal dining room with modern palette for holidays, a large eat in kitchen with young stainless steel appliances, lots of granite counter prep space with nice quality wood cabinets PLUS a real laundry room with storage! Your family room, formal living room, great room, playroom, 4 good size bedrooms, 3 lovely baths are all move in condition with a nice abundance of natural sunlight. It's rare to find homes this nice in this price point in a sought after community like Andover Massachusetts with schools ranked 9 out of 10! Living here you'll enjoy all that we have to offer. Andover public schools are ranked very highly coming in at #28 in the entire state in 2017 Boston Magazine's Best public schools. We also have very strong Internationally known private schools in town include Pike, Phillips Academy , Andover school of Montessori and St Augustines. Commuters love the easy access to Boston from this south Andover neighborhood by Bus - click here for the schedule, By train - click here for the schedule or by car via route 93. Our thriving downtown offers many date night , lunch or brunch spots including some of the north shore's absolute best restaurants like Elm Square Oyster co, Andolinis,15SX,Larosa's , Town Market, Yella, One Thong Chai , Casa Blanca, Uburger, Bueno Malo and many, many others. You'll never run out of coffee shop options like Caffe Nero, Ultimate Perk, Perfectos, Starbucks, plenty of Dunkin' Donuts and Panera close by.